Hello, fans, friends, and family! Finally, book #2 in the Bruised series will release on October 1st...just in time for Halloween time. Very appropriate, I assure you. 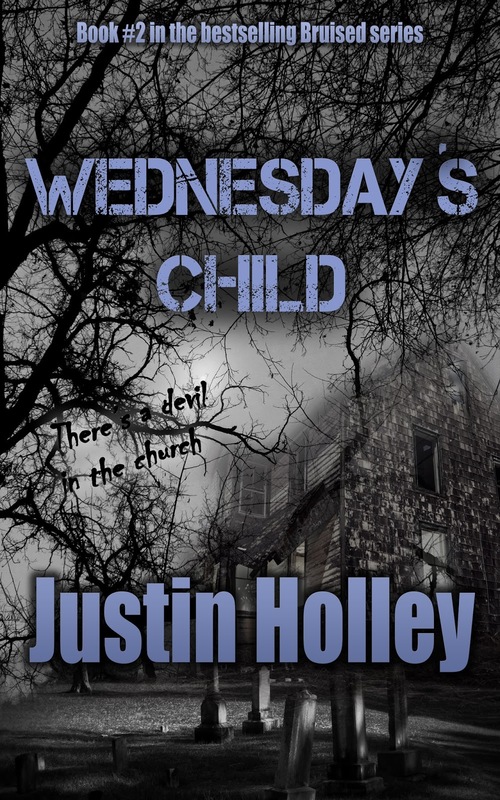 It's titled WEDNESDAY'S CHILD. As always, I wanted to share the cover art with all of you ahead of time. Let me know what you think in the comments! Welcome! Thank you for checking out my profile! 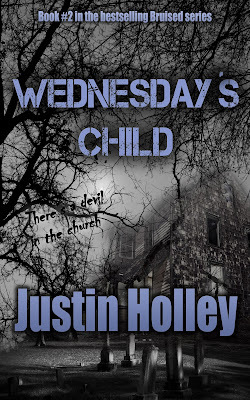 I'm the author of the Bruised series: BRUISED, WEDNESDAY'S CHILD, and THE GULLIES. Available on my website or wherever books are sold. You can find my short fiction in the magazines: Tales From the Moonlit Path, SNM Horror, Writers Together, Trei-literary, and The Odd Mind, as well as, the anthologies: Atrum Tempestas, Zombie Chronicles, Eerie Tales, Dreadful Delusions, 13 Quick Shivers, Amanda's Recurring Nightmare, Holiday Horror, and Horrors: Real, Imagine, & Deadly. Please check out all my writing at www.justinholley.com I enjoy hearing from others and all inquiries/comments are welcome!